If you are looking for an evening of dancing your heart out, Omnia is a great option. Try not to be blown away when stepping foot into the huge indoor club area. With bright lights, EDM music bumping and larger than life focal chandelier it may be hard to stay grounded. The focal piece of this venue is its music matching chandelier. The huge chandelier has a snake-like design, and moves to the music! Truly a sight to behold. After getting a little sweaty from dancing, you can head out to the connected terrace for some fresh air. The outdoor terrace tends to have calmer atmosphere. This will give you a chance to rest and view the Strip. This club is perfect for those looking to get down to the music and feel what the Vegas nightlife is all about. If you love the electronic dance music of popular DJ’s like Tiesto and Steve Aoki, make a beeline straight to Hakkasan. This multilevel venue hosts regular shows from both artists along with several other big EDM names. Hakkasan has five levels, including a Restaurant, a large club level, the Ling Ling Club level, and the Ling Ling lounge, which features a calmer atmosphere. This venue is perfect for those who want to have a full evening experience with having to journey up and down the strip. You can start your evening in the Hakkasan restaurant for private dining, and enjoy upscale fare before your night of partying. With two separate clubs and a lounge, the Hakkasan offers plenty of options for the evening. This club sits at the most coveted location in Las Vegas, overlooking the fountains of the Bellagio. The Hyde at the Bellagio features an eclectic and classy decor filled with worldly treasures, complemented by Italian marble, reclaimed wood, lavish chandeliers, and towering glass doors that lead to a secluded Tuscan style garden. 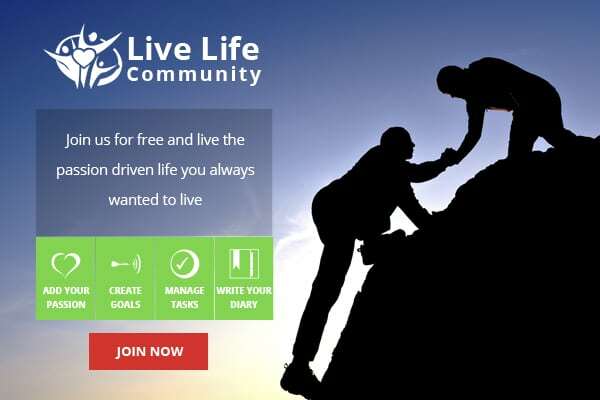 This club is great for those who want a taste of the luxurious Vegas nightclub world without having to squeeze past huge crowds like you are forced to do in other local venues. This would be a great place to visit on a romantic evening or perhaps if you were trying to impress a new business partner. Hyde hosts two very different events every night. 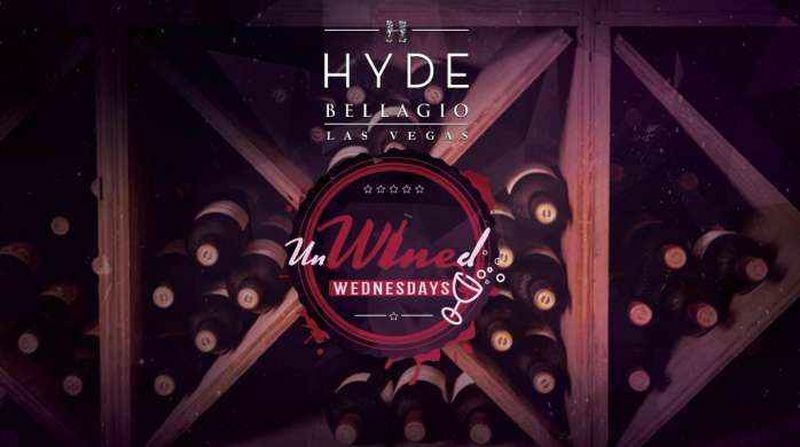 A night at Hyde starts off with an exclusive early-evening experience beginning at 5:00 PM highlighted by an award-winning mixology program and a menu of intriguing small plates from Lago which is also inside the Bellagio. This first half of the night is aptly named the Sunset Terrace, as guests can view a beautiful sunset with a lovely view. At 10 pm the terrace closes to transform into Vegas’ hottest nightlife destination, with 40 VIP tables, a diverse rotation of DJs and live performances. At nightfall, the party is just getting started high in the Vegas sky. 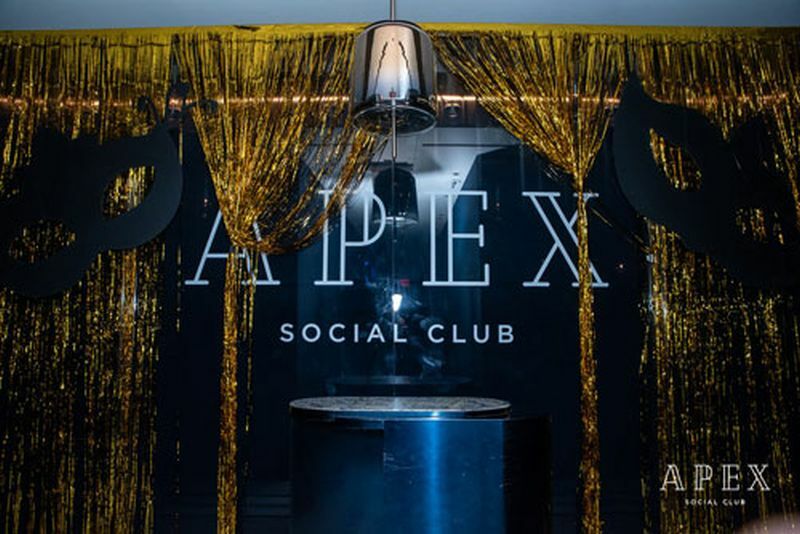 Located on the iconic 55th floor of the Palms Casino & Resort, Apex Social Club features a one in a million view off its lovely outdoor patio. Contemporary, yet approachable decor is accompanied by sounds from local and national DJ’s who set the tone for a great experience. To complement the stunning view and venue, bartenders and mixologists will craft one of a kind cocktails along with age-old favorites served over a graphite and sapphire bar. For the ultimate experience, you can also indulge in VIP bottle service, and peer down on the busy city below. This Las Vegas nightclub truly provides a luxurious nightlife experience for any who walks through its doors. Perfect for making a bride feel like a princess, or for making a memorable night with a top-notch view! The Light Vegas at Mandalay Bay nightclub at the famous Mandalay Bay resort is the perfect spot for a large group looking to enjoy a late night on the Strip. Light Vegas features an open format music style including Electronic Dance Music, Hip Hop, Top 40s and a wide range of great hits. As a guest here, you can indulge in incredible views of performers, aerialists, and dancers as you party the night away at this massive club. These performers really take this club to the next level as they pull in the Vegas vibe. The clubs’ massive LED screens offer a great view of guest performers, as the world-class sound system keeps energy high. 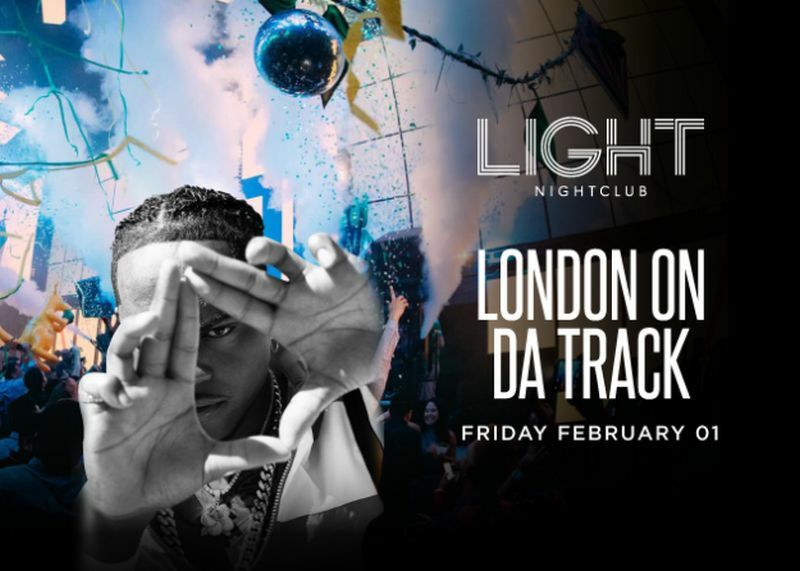 Some performers the frequent Light include Rick Ross, Ludacris, and Travis Porter. Check out their events page for concerts that may fall on your next visit to Sin City. Vegas has a variety of great nightlife opportunities for any visitor. Pick the best one for your occasion to ensure your night goes just how you and your guests imagined.